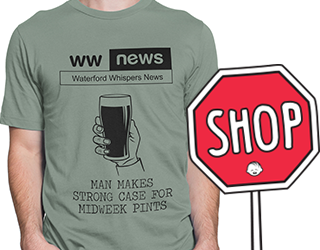 “A COUNTY Waterford pupil was expelled from his primary school this week for refusing to use his proper hand when writing. 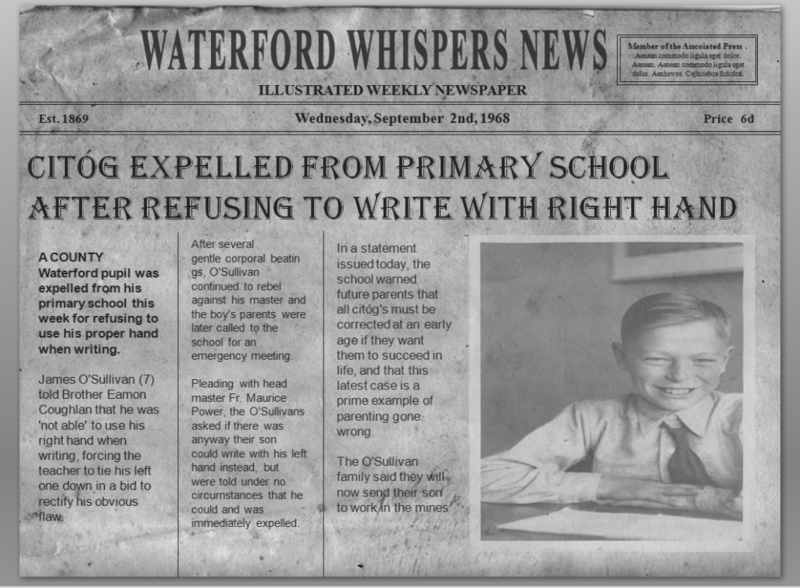 James O’Sullivan (7) told Brother Eamon Coughlan that he was ‘not able’ to use his right hand when writing, forcing the teacher to tie his left one down in a bid to rectify his obvious flaw. After several gentle corporal beatings, O’Sullivan continued to rebel against his master and the boy’s parents were later called to the school for an emergency meeting. Pleading with head master Fr. Maurice Power, the O’Sullivans asked if there was anyway their son could write with his left hand instead, but were told under no circumstances that he could and was immediately expelled. In a statement issued today, the school warned future parents that all citóg’s must be corrected at an early age if they want them to succeed in life, and that this latest case is a prime example of parenting gone wrong.